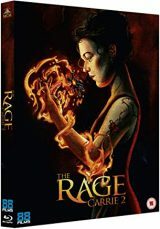 The Rage: Carrie II is written by Rafael Moreu (Hackers) and directed by Katt Shea (Poison Ivy, Streets). It was first released in 1999 and is the sequel to the groundbreaking 1976 film Carrie from Brian DePalma, based on the Stephen King novel of the same name. This film loosely uses some of the characters from the original. 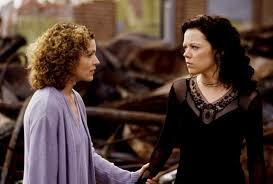 Rachel Lang (Emily Bergl – Taken, Shameless) is a troubled teenager. Her mother, diagnosed with schizophrenia, is now living in a mental institution and Rachel is with foster parents Boyd (John Doe – Road House) and Emilyn (Kate Skinner – Down the Shore), who are very strict and happy to admit they are only in it for the money. She is very much an outsider, with her sullen brooding and her sort of goth image, however she does have a best friend, Lisa (Mena Suvari – American Beauty, American Pie). They meet on the bus to school and Lisa is overjoyed, she has lost her virginity and couldn’t be happier. But before they know it, Lisa is on the roof, throwing herself off and dying in the carpark. 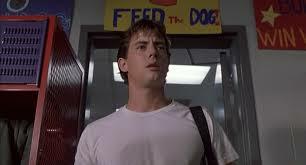 Rachel is devastated and reacts by slamming locker doors and breaking glass using her mind. School councillor Sue Snell (Amy Irving – Carrie, Traffic) tries to help her, but also notices a similarity to a girl she knew twenty years before, Carrie White. Rachel is busy falling in love with jock and member of the ‘popular crowd’ Jesse (Jason London – The Man In the Moon), much to the annoyance of her rival Tracy (Charlotte Ayanna – Training Day) and Monica (Rachel Blanchard – Snakes on a Plane, Dark Hearts). Sue quickly realise the potential for disaster here, as does everyone who has sat through the film to this point, but can she get to the bottom of it all before tragedy strikes again? The Rage: Carrie II is a bit disappointing. I was a huge fan of the original and this isn’t a bad film necessarily, it’s just a bit unfortunate that it will inevitably be compared to such a tour de force of filmmaking. The acting is fine, but the cinematography feels forced, as if the director is trying to make you feel the way that Carrie did naturally. The link to the original feels a little crowbarred too and I’m not sure why they suddenly decided a sequel was required so many years later. The ending also lacks impact because we all know what to expect, the clue’s in the title. All in all it’s a perfectly passable teen horror film, with a pedigree it can’t live up to. It will still appeal to horror fans and this is a good release which comes with plenty of special features. The Rage: Carrie II is available to buy now on Special Edition UK Blu-ray.